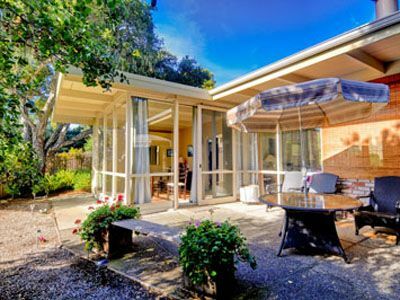 This is the perfect escape for two to four people. 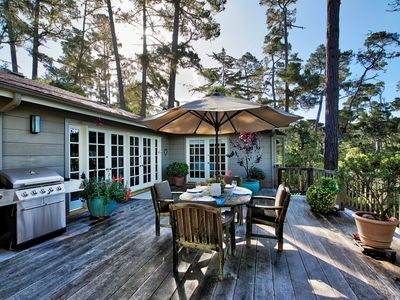 This charming cottage is nestled in the ideal location of Carmel-by-the-Sea. 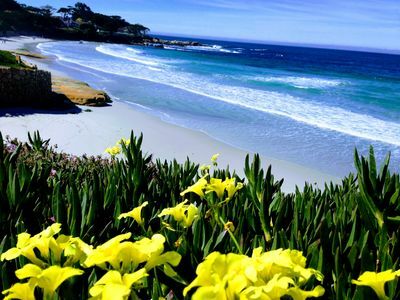 It is a short stroll to downtown Carmel, the Beach, and the Lodge at Pebble Beach. 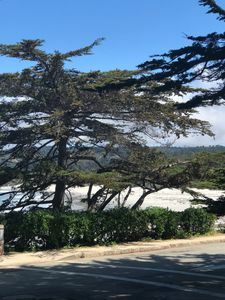 Whether you are traveling alone or with a companion, this cottage offers the authentic Carmel-By-the-Sea experience. With all the convenience and none of the hassle, let this be the getaway you deserve. 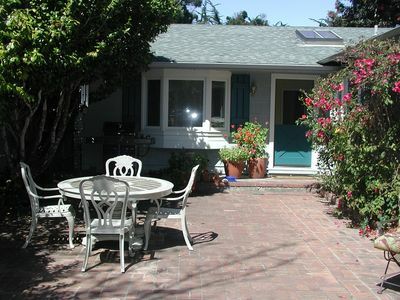 This charming attached apartment is set back from the street on a large lot. No need to fight for parking downtown. There is an assigned parking spot at the cottage. 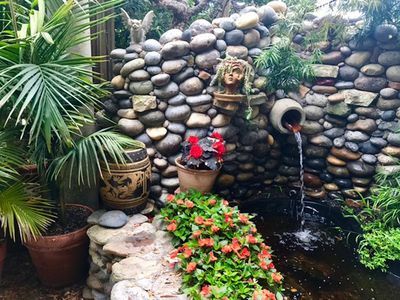 This quiet setting is the perfect location to enjoy a morning cup of coffee, finish the book you have been too busy to read, or take the edge off the day with a nice glass of wine. 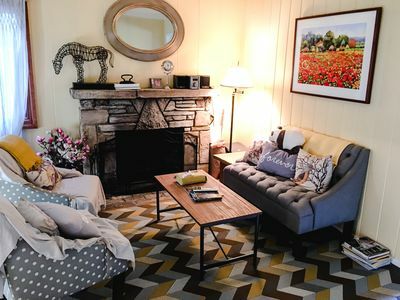 Upon entering the house you will find a small but charming living room. 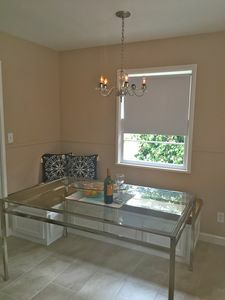 Lots of natural light and nice furnishings maximize the space. A romantic dining table for two offers the perfect opportunity for a dinner before a short walk to watch the sunset. 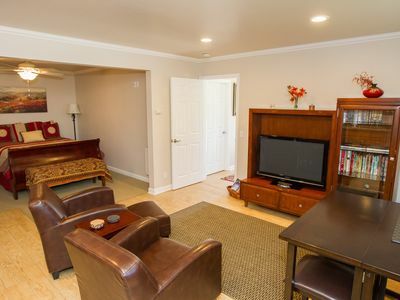 The living room opens to a remodeled kitchen with stainless steel appliances, new cabinets and granite counter tops. 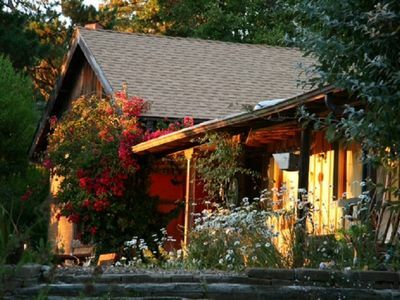 Everything you need to enjoy a tranquil dinner in or a nice glass of wine is readily available. The bedrooms are cozy with ample windows and natural light. 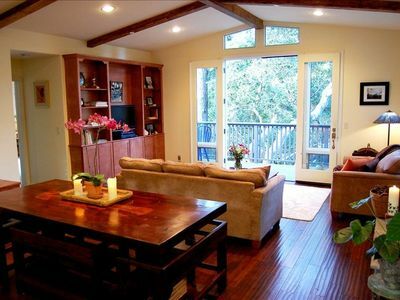 Lying in the king size bed you will enjoy views of the plush oak trees that surround the cottage. The second bedroom is furnished with a comfortable queen size bed. 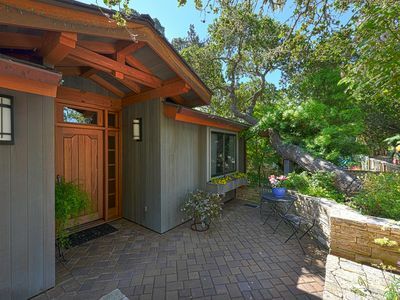 Charming Carmel Cottage - Picture Perfect! Beautiful House in Carmel Woods Overlooking the Hatton Canyon. 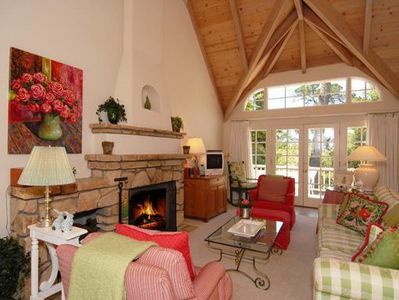 Carmel Point Beach 2 BR charming cottage at Carmel Point steps to the beach. Carmel Point one block to the beach. Family friendly quiet neighborhood.